We used to think the best part of summer was the warm weather and cold drinks, but we’re starting to think it’s the awesome summer deals. Drake by Grosvenor is currently offering one of the best summer deals we’ve seen. For a limited time, you can own a Drake home for 5 per cent down and make no monthly payments for six months*. While the deal definitely got our attention, its Drake‘s sleek design, awesome location, and affordability that makes this project so exciting. Located close to Calgary’s 17th Avenue, Drake puts coffee shops, restaurants, and entertainment right outside residents’ door steps. Not only that, but the building features efficient floor plans and over-height ceilings, creating a spacious feel in every suite. 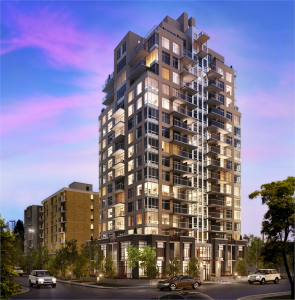 And, with homes starting from as low as $234,900, Drake provides a truly affordable option in the heart of Calgary. Then, of course, there’s that awesome summer deal. Six months mortgage free? Sounds pretty darned good to us. *Program is for a limited time and is subject to change at developer’s discretion. Contact a sales representative for details. For more information on Drake email sales@drake17.com, call 403-264-1703 or visit their website.